This week while I was in Bradley Beach for business, I came across this eatery at 120 Main St, FINS Tropicali Grill. It was a pleasant surprise, and I have to say it’s a very nice location, perfect for a quick stop after you leave the beach (it’s about 6 blocks from the beach). 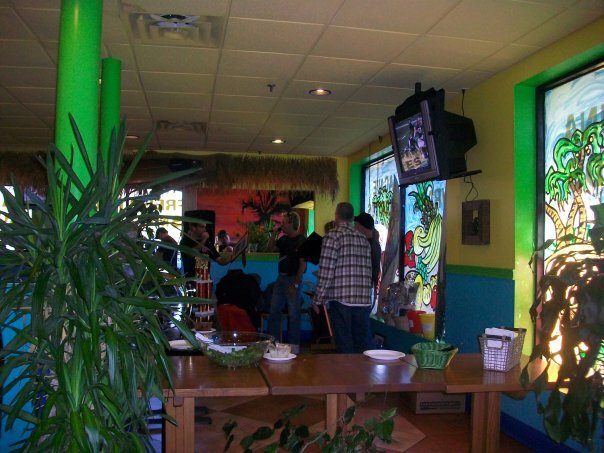 They specialize in Mexican specialties, with Caribbean and Pacific flavors. Think Surf Taco, but more creative. I tried two items from their menu (yeah, I’m always hungry). The Hawaiian BBQ Burrito was pretty big, tasty and (of course, since it’s Hawaiian) a bit sweet from the peppers and BBQ sauce. The Enchiladas with rice were also delicious, more of a restaurant quality than just fast food. And don’t get me wrong, they were both a nice-sized portion, enough for a regular person, I just eat a lot. I also have to mention they have a big variety of smoothies. I wish they had more options without blueberries, but the one I tried was still very good, not too slushy, not to thick, exactly as it should be. I’m glad I stopped by, I’m sure to visit FINS again!